Seolgoksigo is a personal collection of poems by Jeong Po (1309∼1347), who was a civil official at the end of Goryeo. When his son, Jeong Gonggwon, held the office of Miljikjehak, he arranged his father's collection and in 1376 (second year of the reign of King U), asked Goengchansa to print it as block book The preface was written by Yi Saek and Yi Jehyeon. 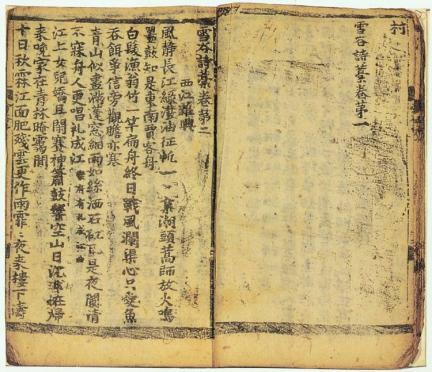 The poetry and other writing of Jeong Po are contained in one book consisting of two volumes. The syllable mu in hongmu was omitted in order to prevent confusion with the name of the second King Hyejong in Goryeo, which often happened to avoid mentioning names of the kings at that time. This book has the preface to the 6th chapter omitted, but it was designated as Treasure No. 709 and is now in the possession of Jo Byeongsun, living in Seoul. Jeong Po’s work is e characterized by Yi Saek as being simple, classical and magnificent. But as one might expect of a book discovered in a private house, the engraving is poor, there is serious abrasion of letters, and the printing is not clean. 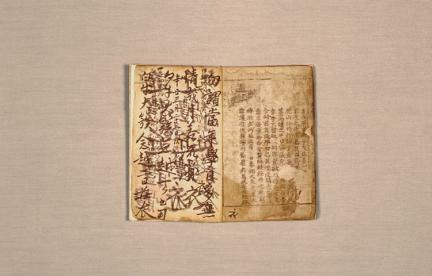 However, this is a rare edition of a collection of poems published at the end of Goryeo, and is a very important source for researching the literature of that era.